$1,900 deposit reserves your spot for all three options. The remaining amount is due on 22 July 2019. All our trainings and immersions have a unique curriculum that’s different from what’s covered in other 100, 200, and 500 hour programs. So what you learn here will be all new approaches, practices, and skill-sets, and makes a nice continuation from any previous studies with Strala or anywhere, without repetition. You can begin with any program you like, including this Advanced Leadership Training, and you’ll always discover new ways to take good care of yourself, find harmony and ease in your body and life, and give this to the people you lead. Everything we do is designed to help people begin where they are, and develop the concrete practices that carry us where we want to go. So wherever you are is a perfect place to begin. This is true for all of our courses, including this 300+Hour Advanced Leadership Training. The people joining our immersions and trainings are a wonderfully diverse and inspiring group. They range from 12 to over 80. They’re from dozens of countries worldwide. 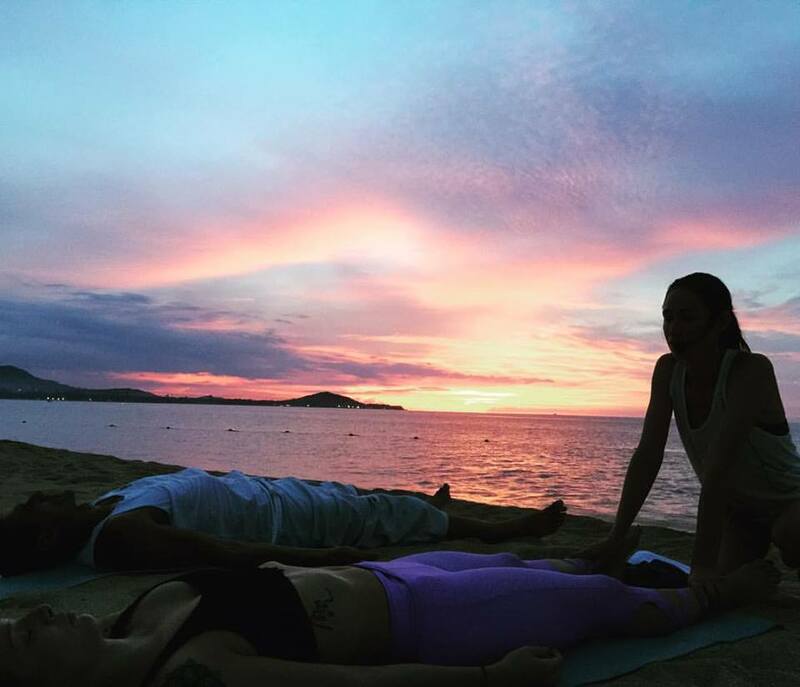 They are entrepreneurs and chief executives, professors and librarians, scientists and researchers, studio owners and fitness instructors, yoga teachers of every style, psychologists and physiotherapists, life and health coaches, doctors and lawyers. They are moms and dads, daughters and sons, and lifelong friends. Some are relative beginners, some are long-time practicers and teachers. 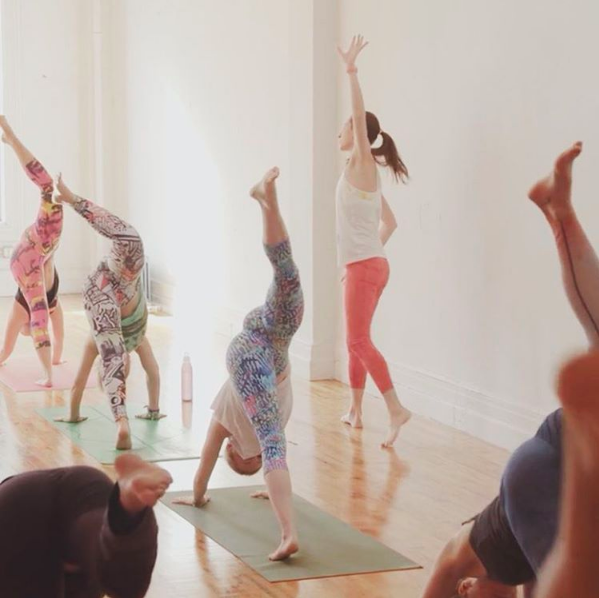 Some want to teach, and some want to progress with their own yoga. If you’re looking to teach yoga professionally, of course it’s good to have at least two years of your own practice experience first. Wherever you are now is a great place to begin. We’re lucky to have this rich diversity, it makes wonderful ground for real-world learning and sharing. Helping people release stress and tension from their bodies and minds, learn to move with grace and ease through challenge, and heal all kinds of injuries and ailments is important work. You’re empowering everyone you reach to become creators of their own destiny, on the level of their health, and their whole life. It’s a wonderful thing to share. 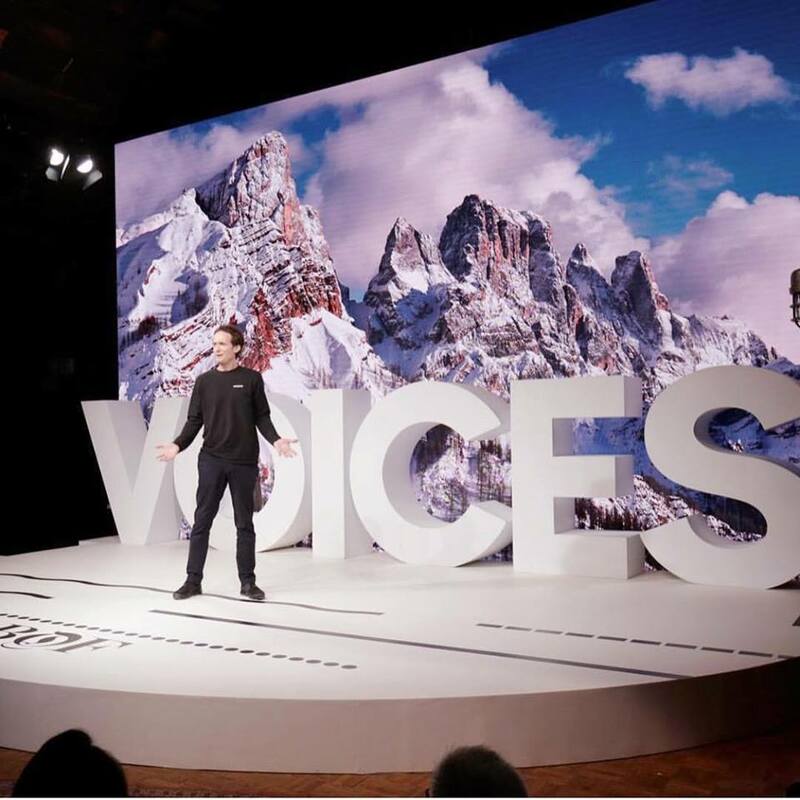 Community: Leading up to this training, you’ll have access to our private online meet-up community, so you can connect with us and each other before our time together begins. And once you’ve completed this time, you’ll access to our private online community of Strala graduates worldwide. Connect with each other, and with Tara and Mike, for ongoing questions, sharing experience, and progress. Certification: We provide a Strala 300+Hour Advanced Leadership Certification upon completion, and list this on our website. Combined with our 200+Hour degree, you graduate with a Strala 500+Hour Advanced Leadership Certification. Strala is credited by mind-body-medicine pioneer Dr. Deepak Chopra, as well as Chair of Neurology at Harvard and Director of the Genetics Research and Aging Unit at Massachusetts General Hospital, Dr. Rudolph Tanzi. We’re also accredited by the global Yoga Alliance Professionals. Continuing Education Credit: This training provides you with 100 hours of credit for each week you complete. People are leading Strala all around the world following our trainings. You gain a unique set of skills, for living and sharing this way of being, moving, and healing, that people love everywhere you go. How you are in your body, how you move through your life. The first week focuses entirely on how we move, using the vocabularies of movement found in yoga, tai chi, qigong, and neigong, as well as your everyday human vocabulary – how you move across our whole life. We’ll learn to identify and release stress and tension from our bodies and minds, unblock our energy, and return to what’s natural in each of us, in every situation. We create a structure and practice that leads to breakthrough progress, in our way of being with our selves, and our way of moving through everything we do. How you move, uplift, and inspire the people around you. The second week focuses entirely on effective and inspiring leadership. We learn to create a way of being and moving, language and environment, that uplifts everyone around us to achieve progress in their own lives. Of course this applies to leading in yoga and tai chi, as well as in every environment we touch. How to form a relationship with yourself and others, that elicits a wonderfully effective healing response. The third week focuses wholly on diagnosis, self-care, and healing, through the vocabulary of Traditional Chinese and Japanese Medicine. When we progress strongly with how we are, and how we move through and lead our own lives, there’s a prize. We become really effective at what we choose to do. And one of the greatest prizes we can share, with ourselves and others, is the ability to heal – both what’s inside us, as well as all kinds of physical and emotional ailments that come from stress, disease, and injury. Explore: How we are in everything we do. Taking care of yourself so you can take care of others. Approach: Three Elements. How to create your best yoga, tai chi, healing, and life practices, through Breath, Softness, and Movement. Process: The Principles of Movement. How to accomplish far more by using the movement principles of tai chi, across everything you do. We begin with breath, connect to feeling, and move from center. We’ll replace force and struggle with grace and coordination. With easy, whole-body-in-harmony movement, you can progress far beyond pose goals, and dive into the process of getting to know your body and mind. Process: Responsive Movement. Once we have the structure of movement in our bodies, we can progress to Responsive Movement – a process of tuning in, self-diagnosis, and response. We learn to direct how we move precisely for what we need, unblocking energy where it’s blocked, discovering and removing the roadblocks that begin on the inside, bringing every part of us into harmony with every other part, and of course, healing on every level. When we re-open the conversation with our bodies, we can’t help but become our own best care-givers, optimally supporting all that’s unique about us, including our capacity to achieve what we dream. Amazing things happen here. Two Weeks : 400+Hour and 200+Hour Degree. This can serve as an alternative path to our 200+Hour training degree. It can also provide a continuing 200 hours on top of your previous 200+Hour education, so you graduate with our 400+hour degree. One Week : 300+Hour Degree and 100+Hour Component. You gain 100+Hours toward our 200+Hour degree, and if it’s on top of our 200+Hour degree, you graduate with a 300+Hour degree. Also this qualifies as 100 hours of continuing education. Strala Trainings are all led entirely by the founders. Every member of our faculty has more than 20 years of practical experience, and between 4 and 10 years of advanced education at top-tier institutions, including Harvard, Oxford, and University of Edinburgh. Our program is credited by mind-body medicine pioneer Dr. Deepak Chopra, and Chair of Neurology at Harvard and Director of the Genetics and Aging Research Unit at Massachusetts General Hospital, Dr. Rudolph Tanzi. Now Mike has found his way back to health care done right, helping people let go of stress in their bodies and minds, and become their own best caregivers. Mike climbs a few mountains in his spare time, and is married to Strala founder Tara Stiles. 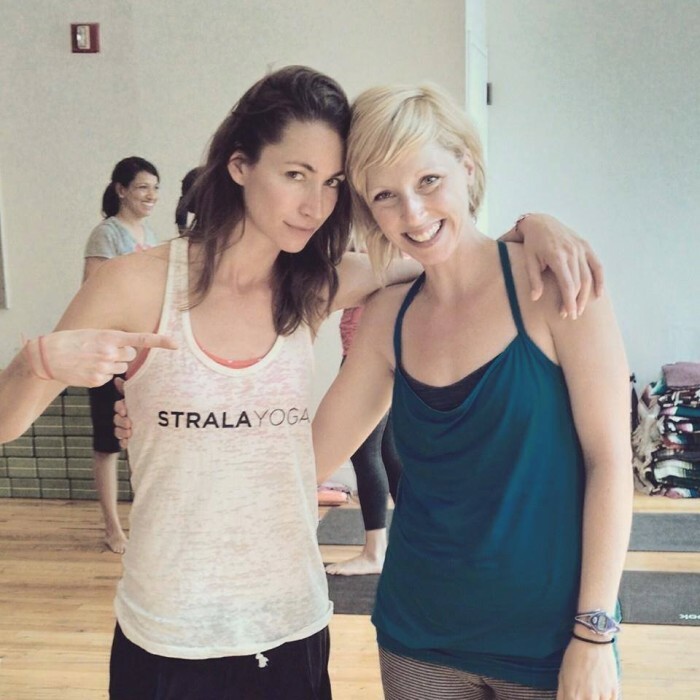 Strala is part of the global Yoga Alliance Professionals, and they certify our 200+Hour and 300+Hour programs. Some employers look for alliance certification, but it’s worth remembering that getting a job doesn’t have so much to do with alliances, and YA in America particularly is just a marketing organization. It’s not able to provide quality standards or exams for qualification like medical school, and unlike unions, it doesn’t provide unemployment benefits, or work assistance. So just like any kind of work, getting a job relates mostly to being excellent at what you do, and lining up well with the person who is hiring. $1,900 USD deposit reserves your spot. The remaining amount ($2,600 for the full program, or $1,500 for two weeks) is due by July 22, 2019. All payments are final, and once a reservation is made, the total training amount is owed. This is non-refundable, except if you are not accepted this time. Admission to training is solely at Strala’s discretion. The short answer is, this program is working well for everyone, of every background. Each of our trainings has its own unique curriculum, and you can progress in any order you like. Everything we do is designed to help people release stress and move more easily from right where they are each day. So wherever you are is a perfect place to begin. Strala 100+Hour Immersion and 200+Hour Training graduates. If you’ve taken a Strala 100+Hour Immersion or 200+Hour Leadership Training, you’re in a perfect place to join this Advanced Leadership Training. 200 and 500 Hour graduates from other schools. If you’ve trained with another school but not with Strala, this has also worked really well for everyone. And while most people complete our programs in order, from the introduction to Ready-to-Lead to Advanced Leadership, it also works just fine to progress in whatever order works best for you now. Beginners. Everything we do is designed to help you move more easily from right where you are each day. So right where you are is a perfect place to begin. 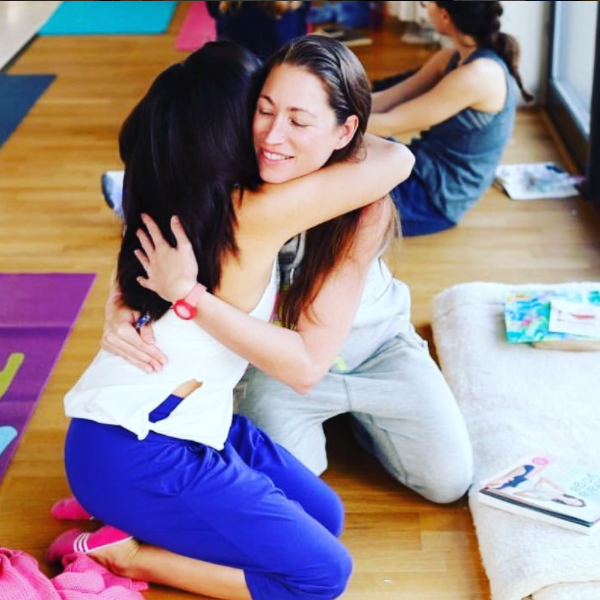 Just like all our trainings, this program will give you good ground for your own practice, and for sharing what you have with the people in your life. All of our training programs provide a unique curriculum, that is different from what is covered in other 100, 200 hour, 500 hour, and advanced courses and schools. For example, our 200+Hour program provides more breadth and depth than other schools, in focus areas that include health and nutrition, injury and trauma, diagnosis, healing, and leadership. So everything you learn with Strala makes a useful addition to any previous studies. 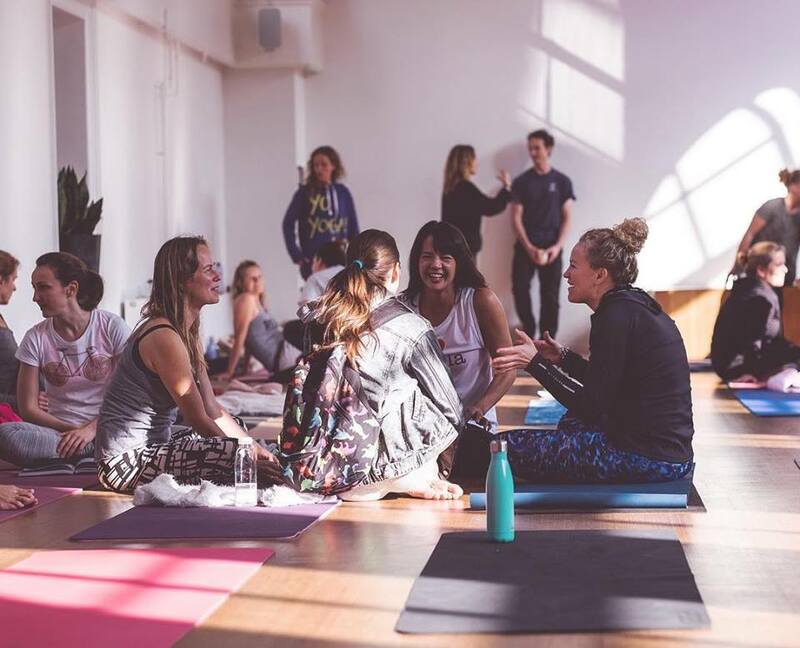 Whether you’re interested in pursuing a teaching path, applying these concepts in your work, athletic, or healing practice, or just getting deeper into your yoga, Strala Training is a journey that will transform your inner and outer world. In addition, each person will spend a good amount of time in classes, both with Tara and Mike, as well as online for people who don’t have every day with us. The online component can include our online classes, workshops, and trainings, and this is great to do before training as preparation, and after training as ongoing review. A: All our trainings have travelers from all around the world. People have had good experiences using the sites Airbnb and VRBOfor affordable short-term rentals.